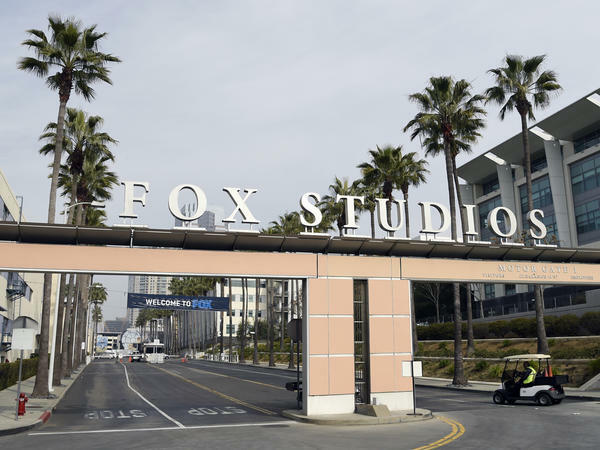 The exterior of Fox Studios is pictured Tuesday in Los Angeles. Disney's $71.3 billion acquisition of Fox's entertainment assets closed around 12 a.m. ET on Wednesday. Homer Simpson probably won't become the newest member of the Avengers, but anything's possible now that Disney owns 21st Century Fox. One year after the Walt Disney Co. announced the $71.3 billion merger, it's official. The deal, which closed Wednesday at 12:02 a.m. Eastern time, reshapes the media landscape and makes Disney an even greater entertainment behemoth. In bolstering its trove of characters and stories, the acquisition also puts Disney in a stronger position to take on Netflix and other streaming companies when it launches its own service, Disney+, later this year. Disney, which already owns the Pixar, Marvel and the Star Wars brands, will now also get Deadpool and the Fox-owned Marvel characters such as the X-Men and Fantastic Four, allowing for the full Marvel family to be united. Disney also now owns former Fox television networks such as FX Networks and National Geographic Partners. Disney will also get Fox's 30 percent ownership of Hulu, giving Disney a controlling share of 60 percent. Now that Fox Corp. has sold off most of its entertainment properties, it has become a standalone company that will retain ownership of its broadcast network, owned-and-operated network affiliates, the Fox News Channel, Fox Business Network and Fox Sports. Former House speaker Paul Ryan is joining the board of directors of the new Fox Corp. NPR's David Folkenflik told WBUR's "Here and Now" that Fox's decision to retain Ryan "is in keeping with the way in which Rupert Murdoch and his family has operated over the years, where they have acquired, essentially, a lot of major political heavyweights to be on their corporate boards, occasionally as top executives — essentially as a hedge" against the fairly heavy regulations that media companies sometimes face. The deal has been in the works for more than a year, but wasn't official until various regulatory agencies around the world gave their approvals. After months of flirting with the idea, Disney and Fox announced in December 2017 that they had agreed to a $52.4 billion deal that would sell off most of Rupert Murdoch's entertainment properties. As Folkenflik reported at the time, the acquisition offered a chance for Disney to "consolidate holdings, bringing together talented leaders in television and movie production, major cable properties and a vast network of local sports cable channels to fold into Disney's ESPN programming." The deal hit a snag in 2018 when Comcast unexpectedly bid $65 billion to lure Fox away from Disney. But Disney was able to keep the deal moving forward when it upped its offer to $71 billion. The Justice Department OK'd the acquisition last summer as long as Disney, which owns ESPN, agreed to sell off 22 regional sports networks that were originally part of the purchase. For Fox, the decision to sell many of its entertainment properties was motivated mostly by "fear, opportunity and pragmatism," Folkenflik explained. "Fear of the seemingly bottomless wallets of Netflix, Amazon and possibly Apple to spend on new shows; opportunity to cash out assets at a possible peak; and pragmatism in finally resolving the professional fates of Murdoch's sons, Lachlan and James, as well the fortunes of four other Murdoch children who do not play a role in the company." The acquisition could have negative consequences. NPR TV Critic Eric Deggans told NPR's Morning Edition that thousands of people will likely lose their jobs as Disney consolidates its properties. Note: Both Walt Disney Pictures and 20th Century Fox have funded NPR.